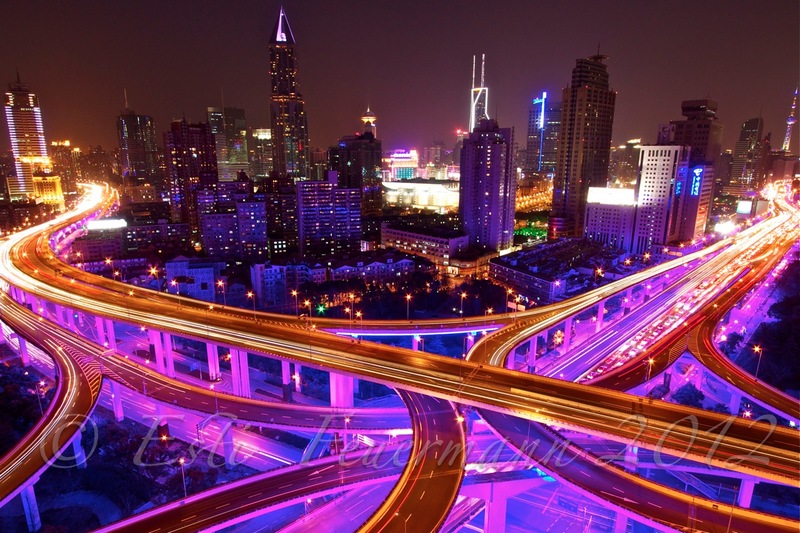 What a nighttime photo of Shanghai! You are a pro! Fascinating shot of the city draped in Perfectly Pink and Indigo Blue rays, Gold and sparkles of bright lights emanating from the cars and the rusty golden orange highways wrapping the city which sleeps. Picture Perfect !